The living dinosaur to whom you are psychically bonded for the rest of your life knows what you want, which is why she did you a solid and got Hulu to renew Marvel’s Runaways for a third season on Sunday. The platform’s renewal announcement video featured plenty of the show’s Old Lace, a genetically engineered raptor with a mental link to Gert Yorkes, played by Ariela Barer. 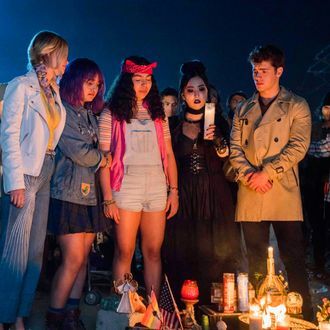 Unlike Runaways’ 13-episode second season, which premiered back in December, the show’s third season will feature ten episodes. Old Lace can probably get those numbers up a little higher, though, just as soon as she figures out how to open the front door to Hulu’s corporate headquarters.